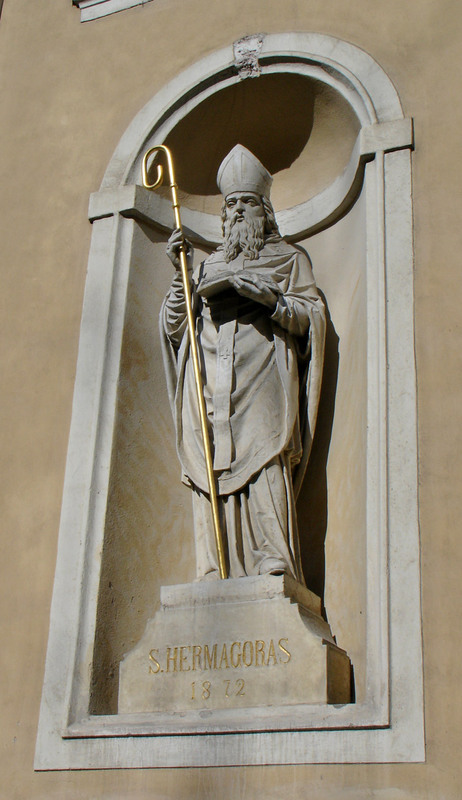 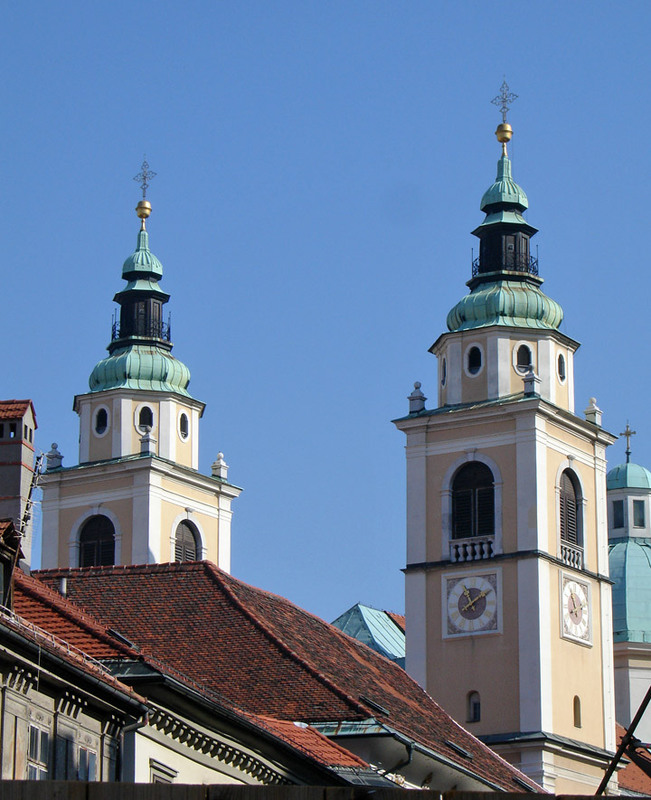 St. Nicholas' Cathedral is situated between the Ciril Metodov trg and the Ljubljanica river. 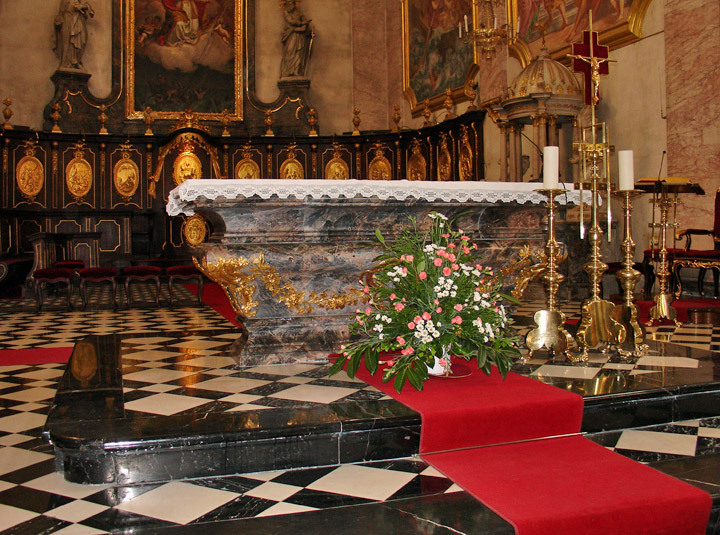 A church has been standing here ever since the 13th century. 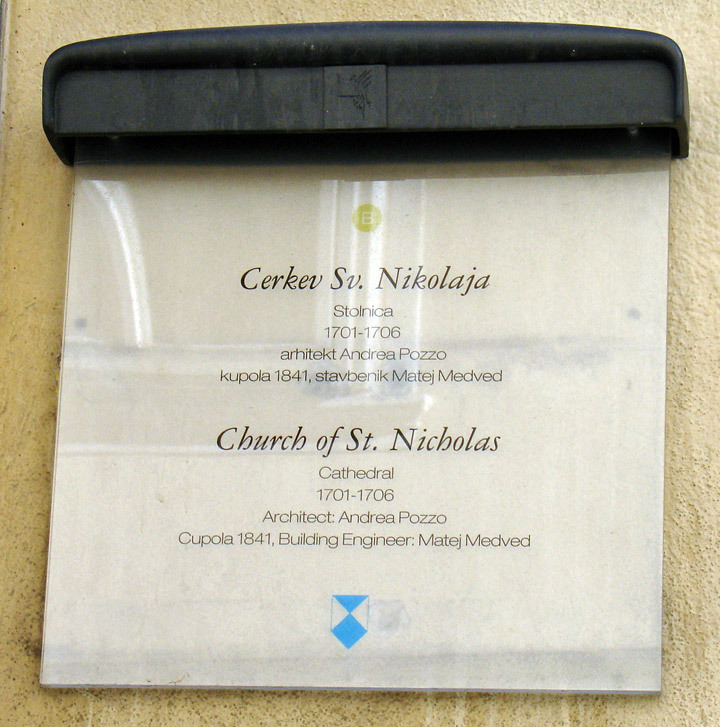 The church is dedicated to the patron and guardian of fishermen and boatmen St. Nicholas. 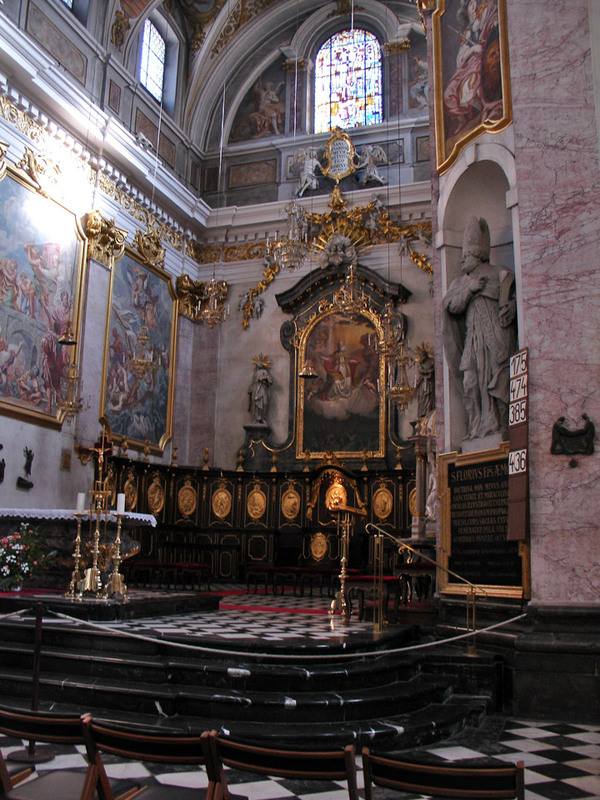 The first church was a Romanesque building. 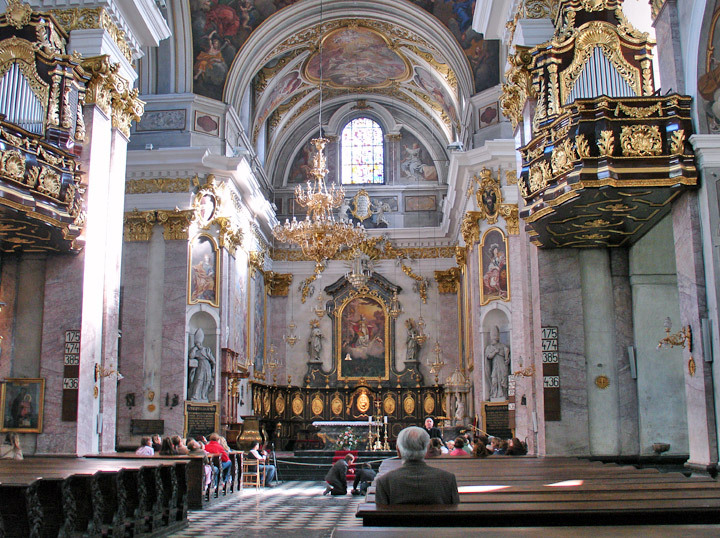 After a fire in 1361 a second church was built in Gothic style. 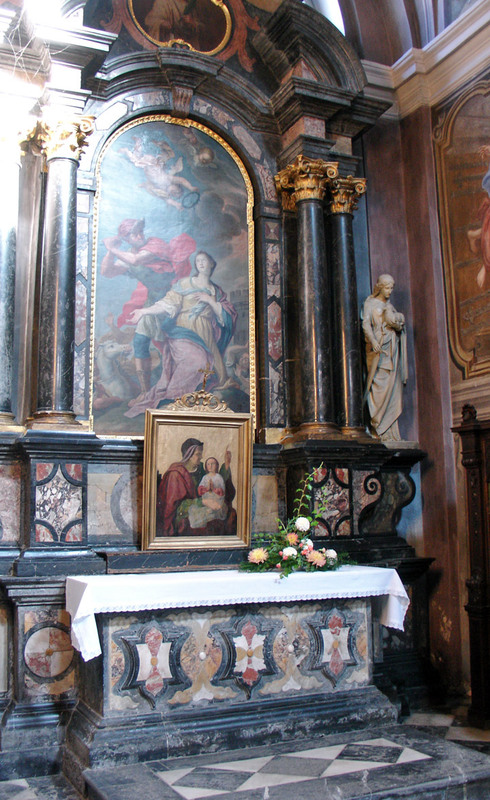 During the 15th century this church went through several alterations. 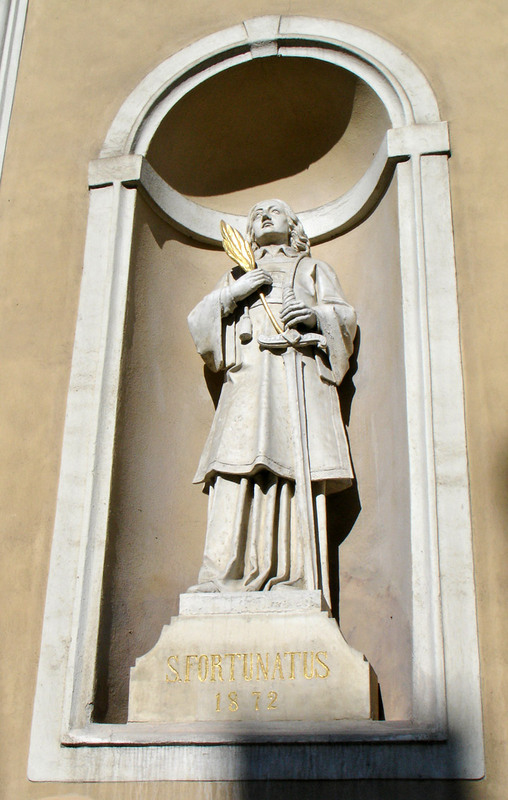 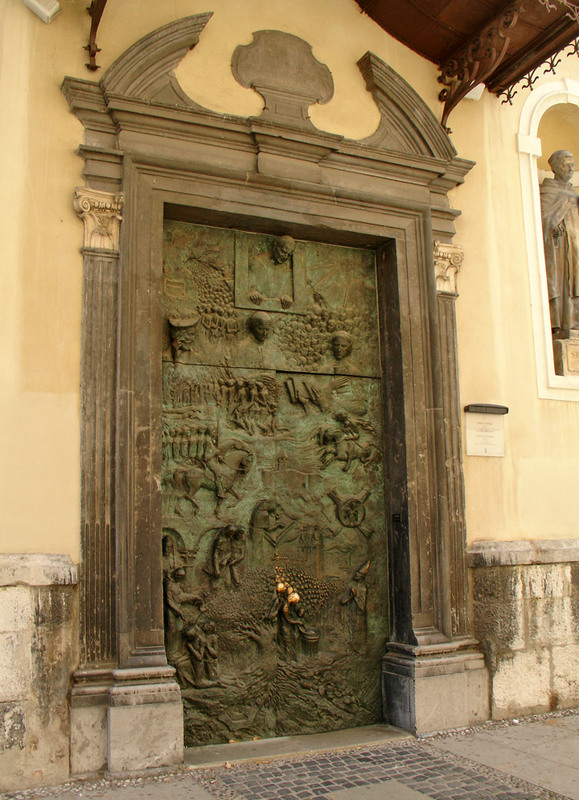 After the establishment of Ljubljana as the center of Episcopal in 1461 the church was turned into a cathedral and 1469 it was burnt down by the Turks. 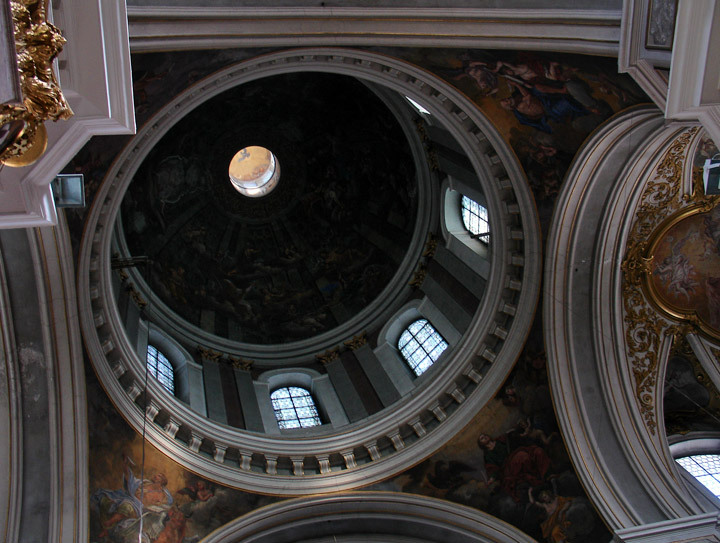 The second church which had only one bell tower was pulled down 1700 and the third and now existing church was built. 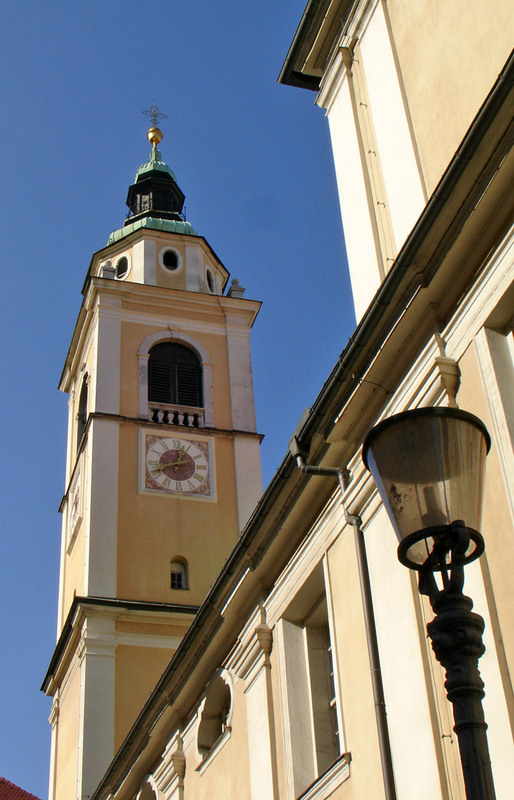 The existing church has two towers which have been the traditional way of constructing churches in Ljubljana since the beginning of the 17th century. 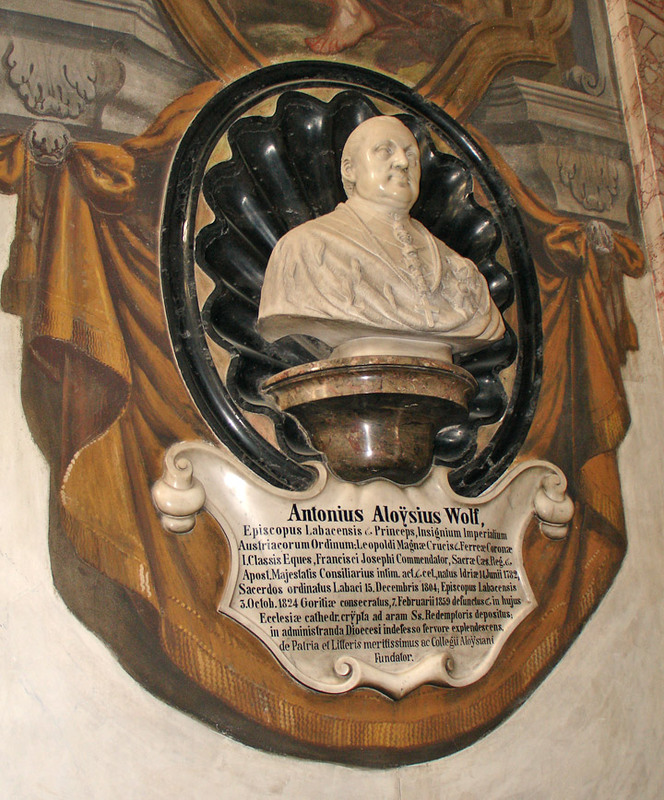 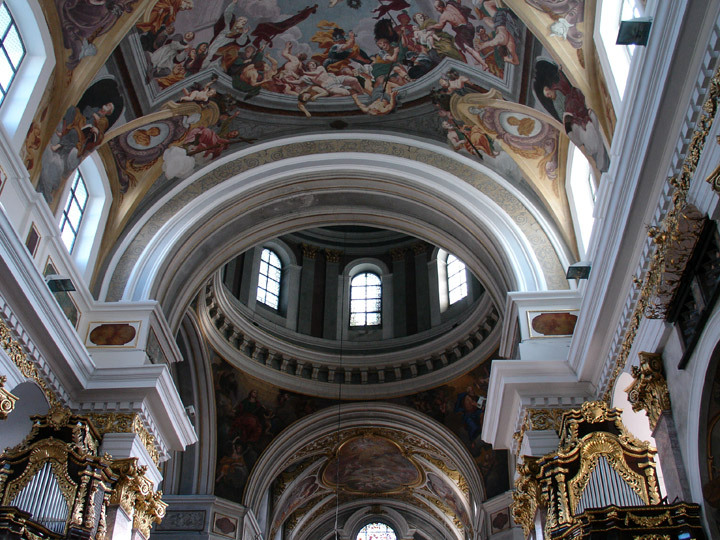 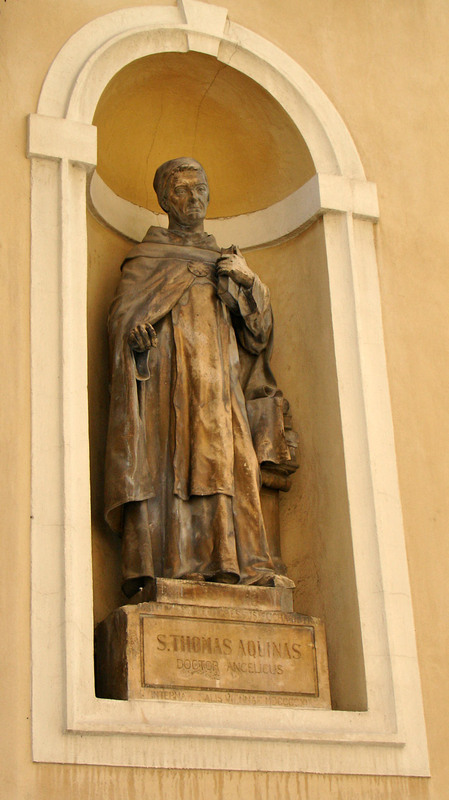 The Jesuit Andrea Pozzo, an architect and designer from Rome, designed the church. 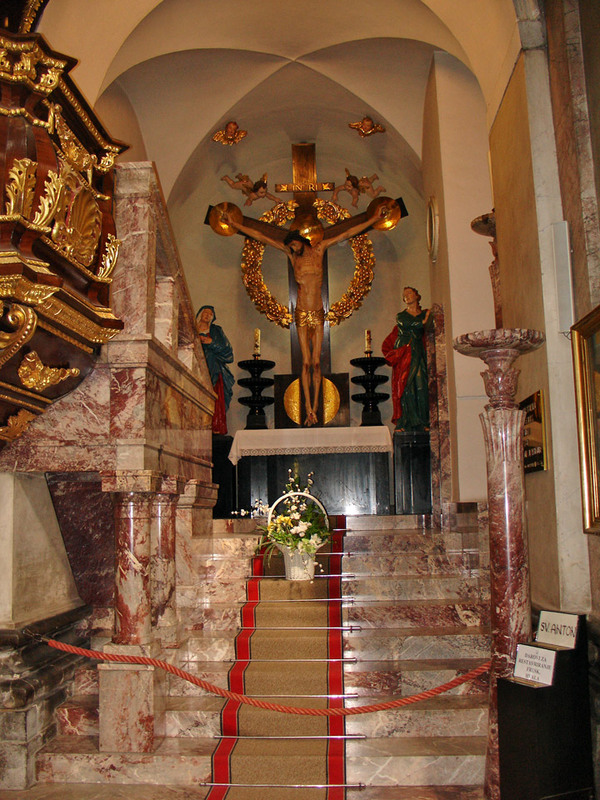 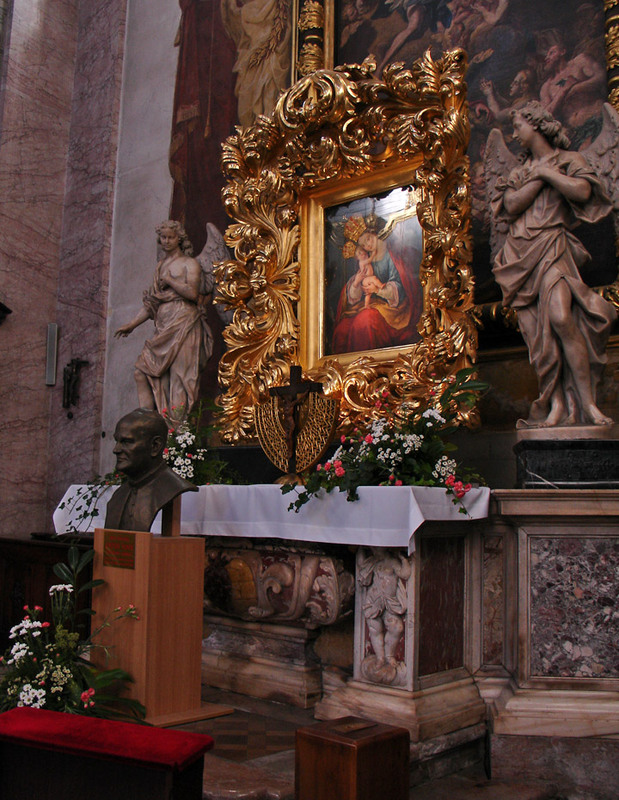 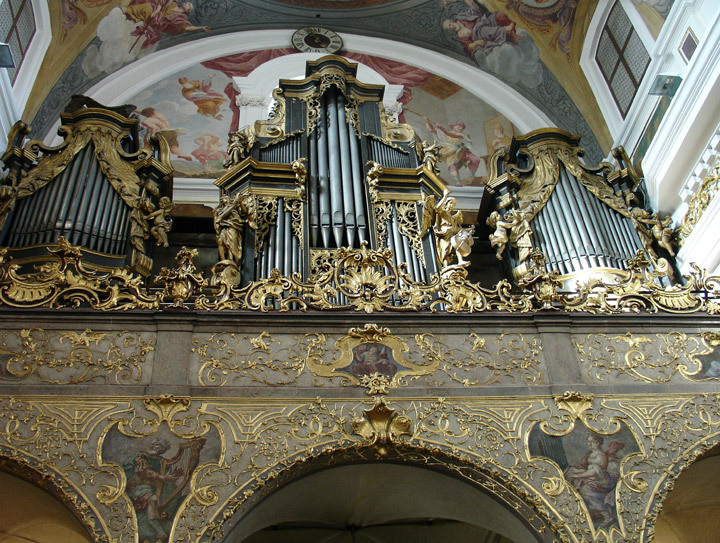 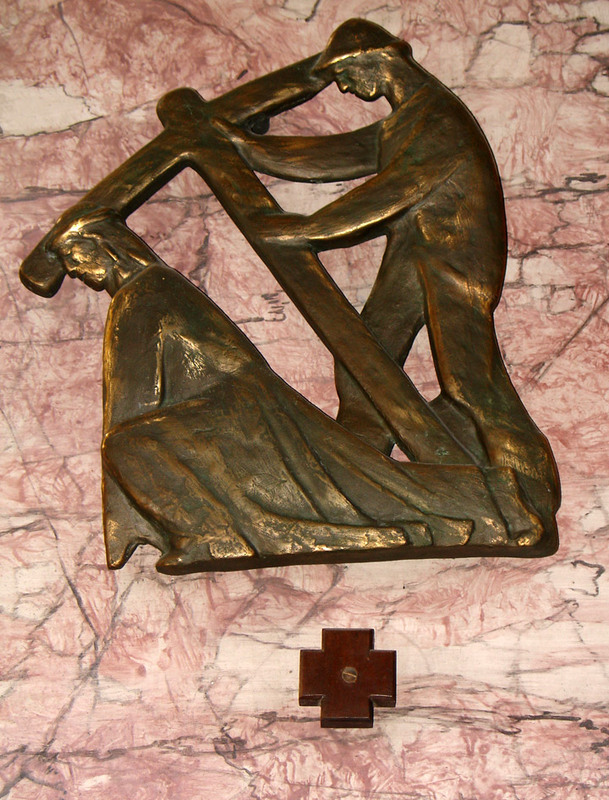 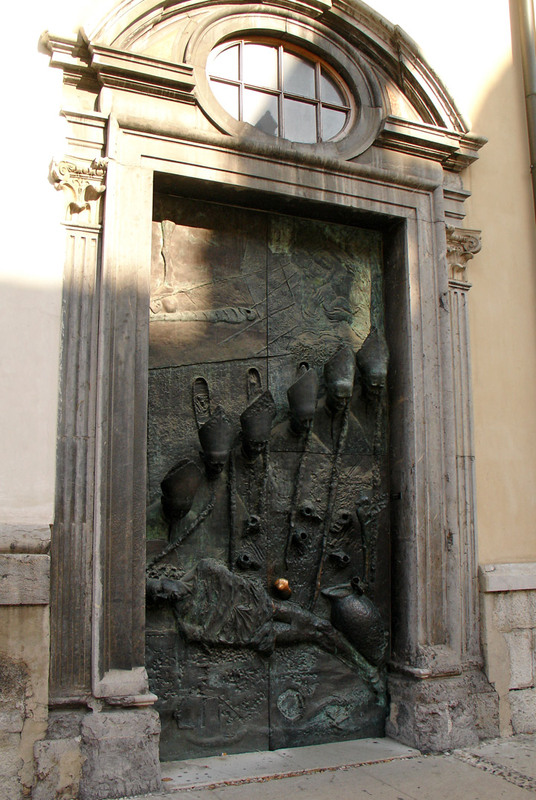 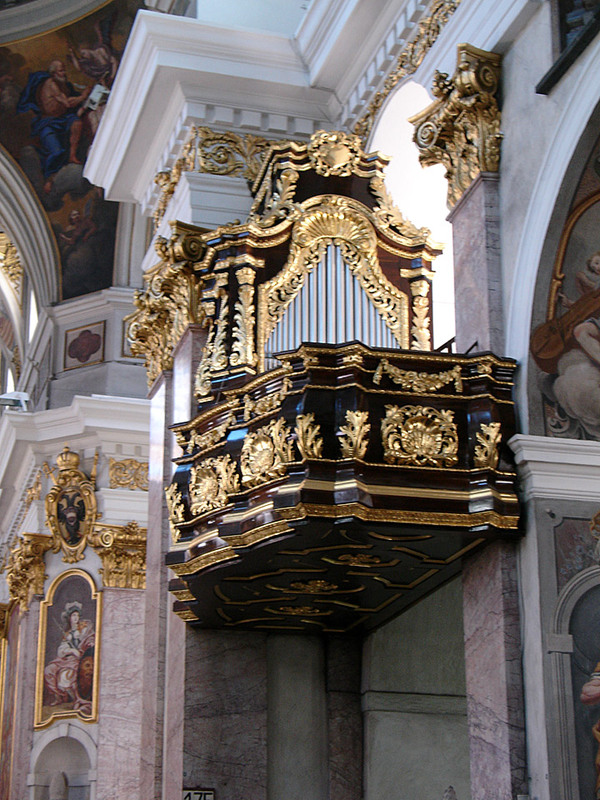 The design was inspired by the Jesuit churches Il Gesu and S. Ignazio in Rome. 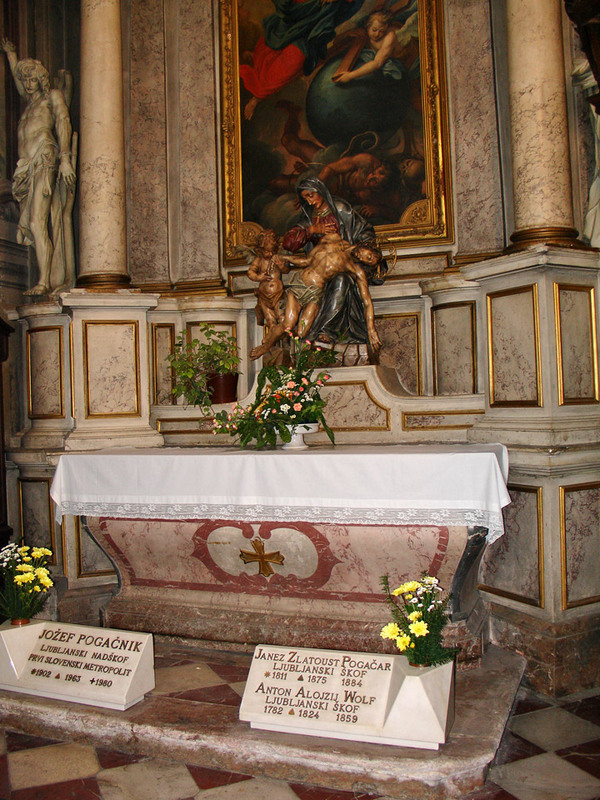 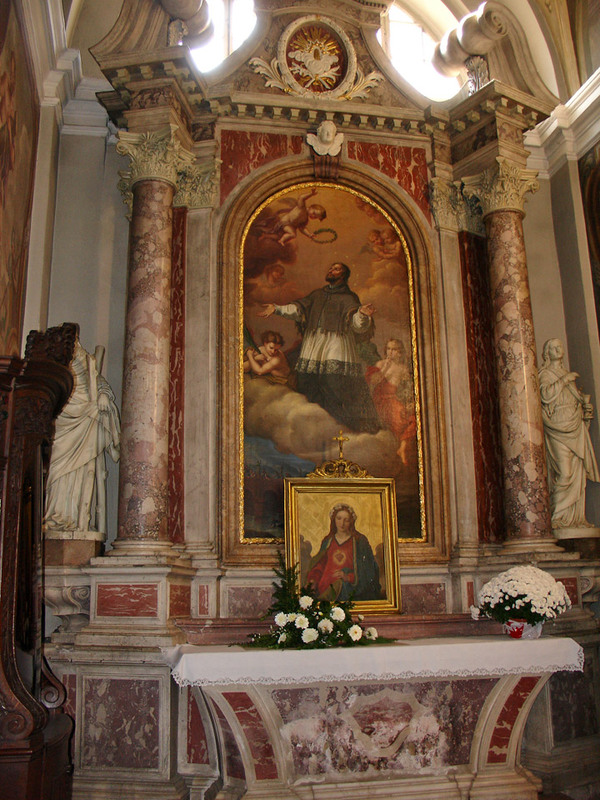 Giulio Quaglio an already famous painter from Italy decorated the interior of the church. 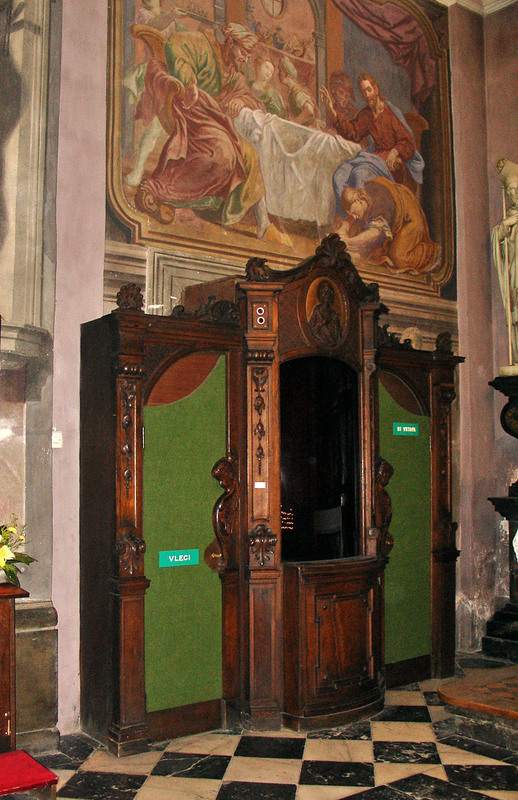 Giulio Quaglio also designed a simulated cupola in wood. 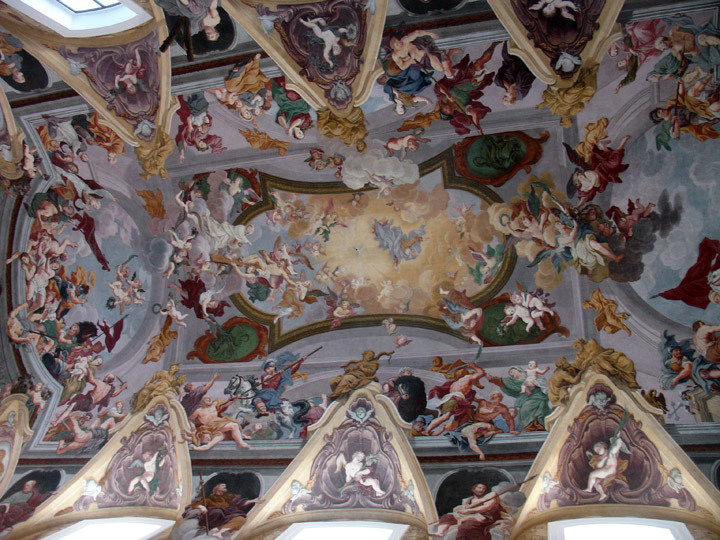 The existing cupola was erected in 1844 and decorated by Matevz Langus. 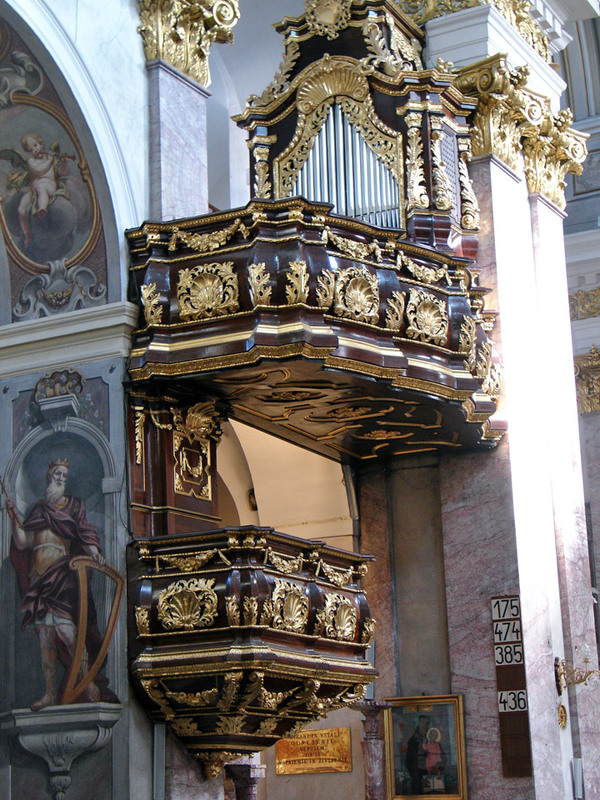 The main features on the inside is the high altar and the emporium of the choir-stall with its huge organ loft. 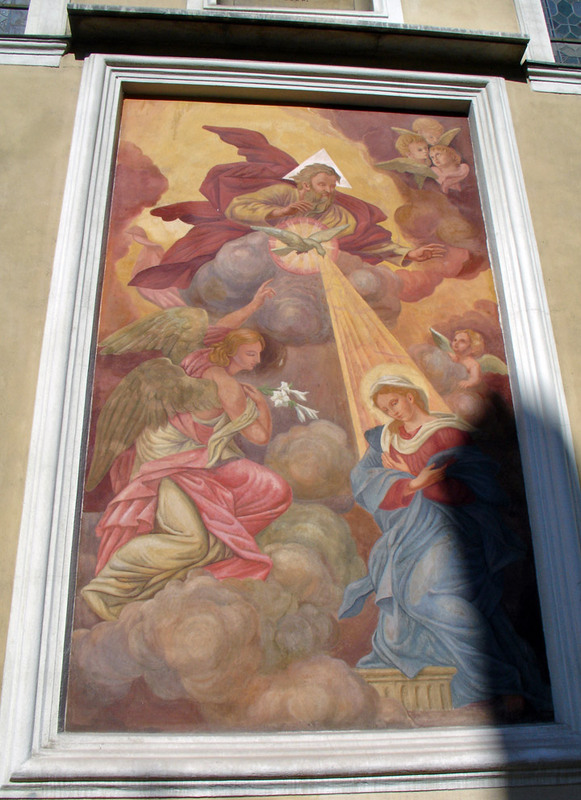 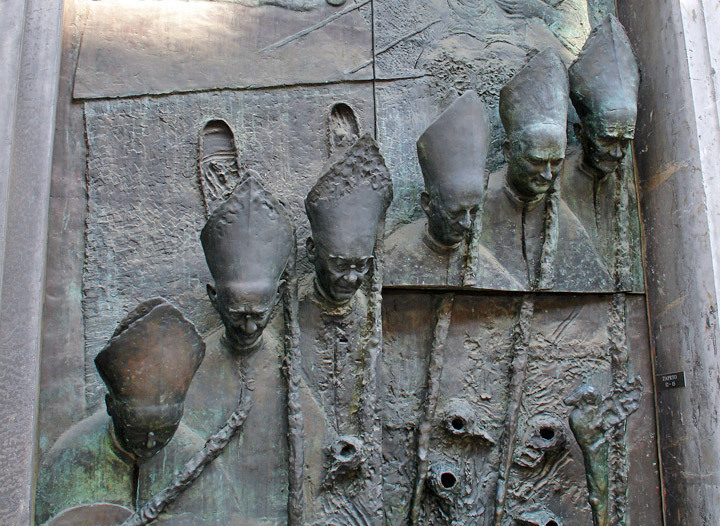 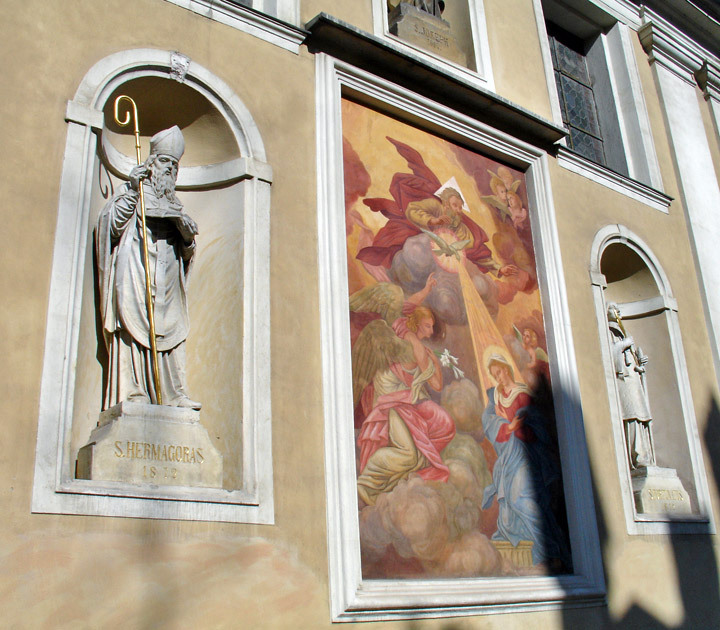 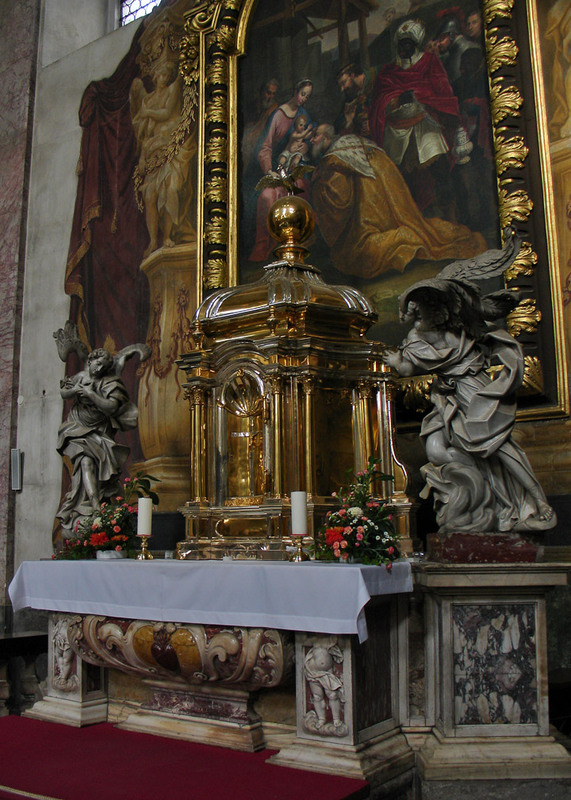 On the walls of the church are also four of St. Nicholas miracles depicted.